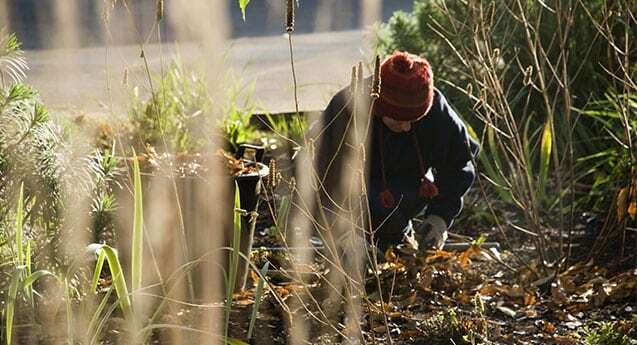 Our essential winter gardening tips will motivate you to get out there no matter the weather. In this article, we will guide you on the do’s and don’ts of winter gardening and how to get the best out of what you’re growing. Winter gardening in Australia offers those with a green thumb the opportunity to plant a wonderful selection of plants and veggies to grow – so start making space! That being said, the winter time can also be difficult for some plants particularly if it does get a little colder than usual. There are so many things that you can do to help prepare your garden for winter and we will take you through some of the best ways to help it flourish. Right, before we start with any winter pruning you will need those secateurs nice and sharp so go ahead and do that before heading out into the cold. The key to winter plant pruning is not to be afraid to take off as much as is necessary, you can usually go as far as to leave only three or four stems left. In fact, many plants can benefit greatly from pruning when they are bare including wisteria, vineyards and hydrangeas. If you have any gardenias around, then early August will be the better time to give them a prune. Should you have any frangipanis, you can use your cuttings to make an instant tree by letting them dry for a couple of weeks before potting them or planting them in a mix of sand and soil while propping them up with a splint and some wire or rope. Love your lawn enough to cut it almost all the way down to the ground, it will rejuvenate it and you will soon see the benefits. Of course, if you have any larger plants or trees that need cutting back this winter, call in the experts. As a team of certified professionals, Arbor Operations can expertly and efficiently assess the condition of your property and determine the best course of action. Download our free guide to learn how we can take care of your garden this winter. As a by-product of the increase in rainfall and added moisture, our friends the weeds will soon come calling and start appearing in our gardens. It is vitally important that you get a good handle on them and remove them before they begin to seed and cause some real problems. It may be a chore, but hand weeding is one of the most effective ways of removing weeds and the softer soil should help you to get them at the roots almost every time. If you want a more automated and sweeping way to deal your unwanted guests, then a till or a rake should do the trick just as well. If they really have gotten out of control, then perhaps you should consider using chemical control. If you have any potted tropicals or plants that enjoy a warmer climate then start moving into more protected areas. If they happen to be trees or are in pots that are too big to move them, help them out by spraying them with a guard against the bite of winter. Winter gardening also means holding off on the watering of your potted plants as they need far less water than they usually do. If you want to really help them out, give them slightly warmer water in order to avoid the roots experience a chill shock. Create a framework around those plants are more likely to suffer during the cold of the winter months, if it’s something that you already have in place, then all you have to do is give them a cover of cloth or plastic overnight. If you need help maintaining your backyard over the winter or have any questions for us, then please don’t hesitate to get in touch with us. You can do that here. Download our free guide to learn how we can take care of your garden this winter.